SCORCHED: Delaware Death Crew Announces Winter And Spring Tour Dates. Acclaimed Ecliptic Butchery LP Out Now Via 20 Buck Spin. 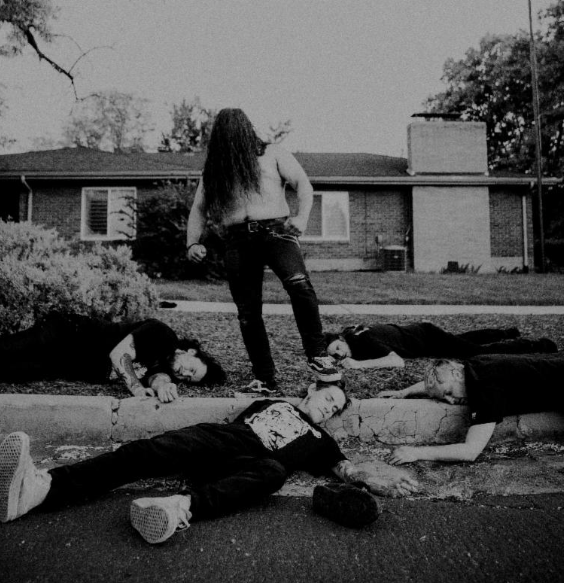 Delaware death metal crew SCORCHED has announced several bouts of upcoming tour dates this winter and spring in support of their bludgeoning Ecliptic Butchery LP, which saw release in September through 20 Buck Spin. First up, SCORCHED will hit the Southeast with support from their allies in Ohio-based Mutilatred, with shows in Greensboro, Columbia, and Memphis February 22nd through 24th. A month later, SCORCHED goes back out on a more widespread campaign supporting their Bay Area labelmates Ulthar from March 22nd through April 3rd, with shows spanning from the West Coast through the Southwest and Southeast states. Watch for additional tour dates to be announced in the months ahead. The new SCORCHED LP Ecliptic Butchery has continued to receive widespread critical acclaim since its early fall release, including numerous near-perfect reviews and inclusions on many best-of/year-end lists. The pulverizing album was produced, mixed, and mastered by Arthur Rizk (Tomb Mold, Pissgrave, Prurient), resulting in a seemingly impossibly heavy final product. Completed with cover art by Misanthropic Illustrations, Ecliptic Butchery is simply one of the most malicious onslaughts of 2018. Fans of Vastum, Suffocation, Cannibal Corpse, Extremity, Witch Vomit, Necrot, Exhumed, and Homewrecker should not miss out. Ecliptic Butchery is available through 20 Buck Spin on LP, CD, and digital formats, the CD version paired with a bonus disc which includes the entire Excavated For Evisceration album. Place orders at the label shop HERE and at Bandcamp where the record is streaming HERE. ← Previous post:Occult black metal band Inferitvm released their second album today along with new music video De Occulta Philosophia!